Female aptera. Legs and most of body yellow, head and abdominal segments VIII–X brown with pale setae, antennal segments I–II and V–VIII light brown, III–IV mainly yellow. Antennae 8-segmented, sensrium simple on III–IV. 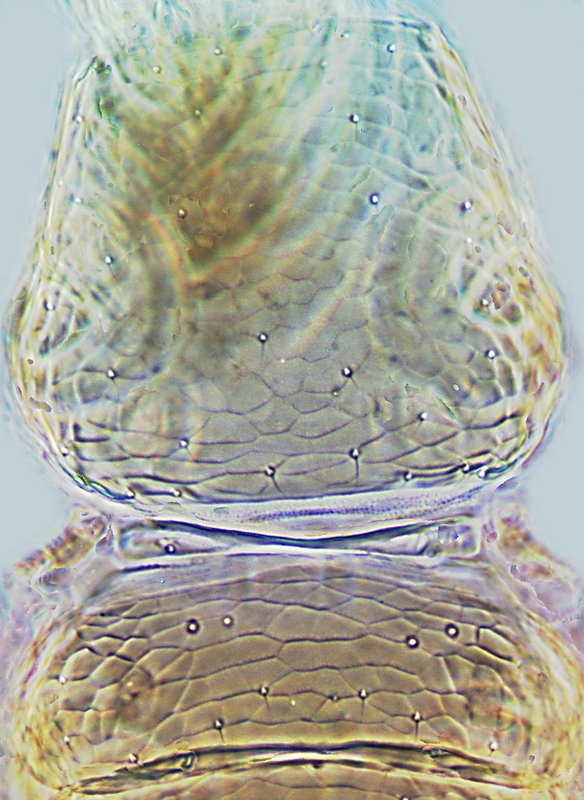 Head smaller than pronotum, projecting in front of eyes but scarcely overhanging antennal segment I; vertex without sculpture or ocelli; ocellar setae I when present slightly posteromesad of setae II; ocellar setae III wide apart close to compound eyes. Pronotum trapezoidal, faintly reticulate, setae all small. Mesothoracic furca with short spinula; mesonotum reticulate, with 2 pairs of campaniform sensilla anteromedially, 2 or 3 pairs of setae near posterior margin. 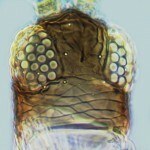 Metascutum reticulate, transverse with 1 pair of setae medially; campaniform sensilla present, 2 pairs of setae near posterior margin. Fore wing first vein with 2 setae on distal half, second vein with no more than 6 setae; clavus with neither discal seta nor basal seta. 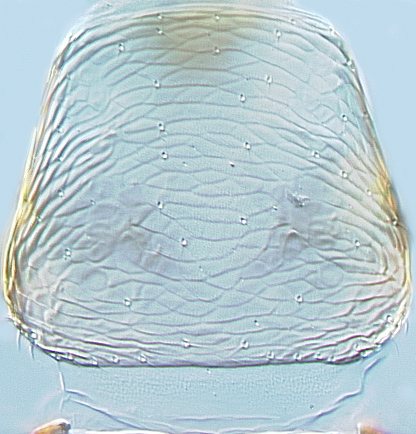 Abdominal tergites I–IX reticulate, with unlobed posteromarginal craspedum on I–VIII; paired campaniform sensilla close to posterior margin; posteromarginal setae arise in line with campaniform sensilla. 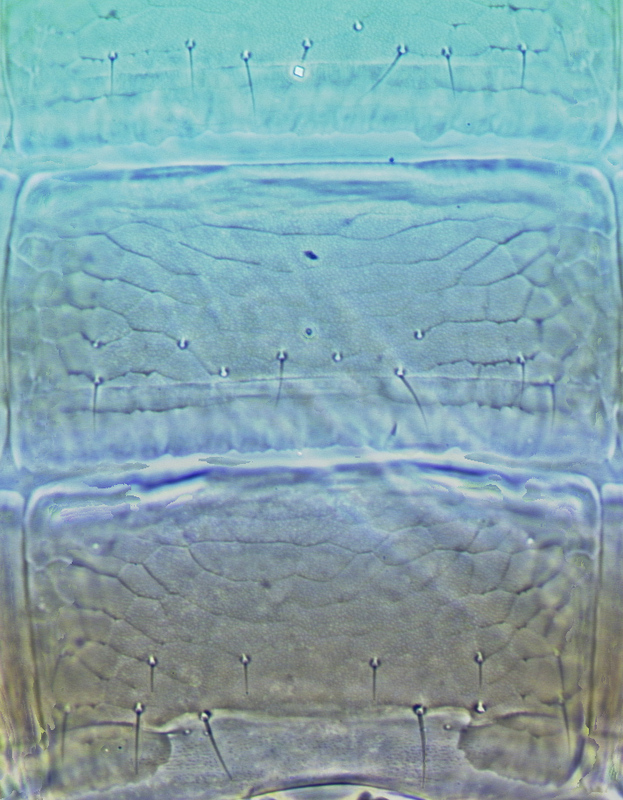 Sternites II–VII with broad unlobed posteromarginal craspedum, on VII not developed mesad of setae S2; sternites III–VII posteromarginal setae arise in front of margin, with discal setae indistinguishable from marginals. Female macroptera. Similar to aptera; fore wing shaded; mesothoracic furca short and weak; metascutum and metascutellum reticulate; metascutal median setae arise medially, campaniform sensilla near posterior. 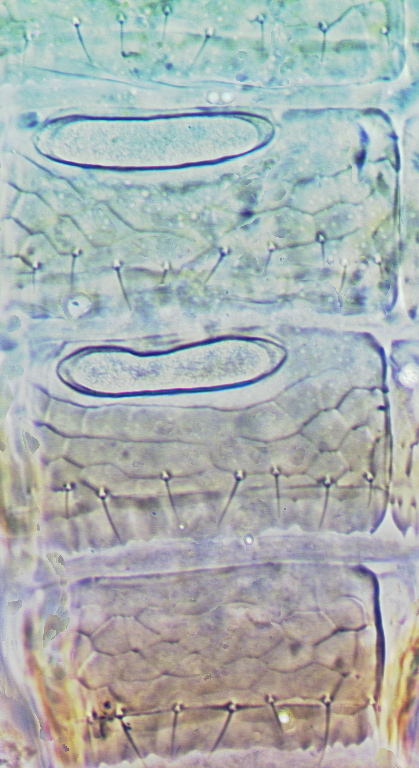 Fore wing clavus with 4 marginal setae; first vein with 2 setae distally; second vein with 6 setae. Male aptera. 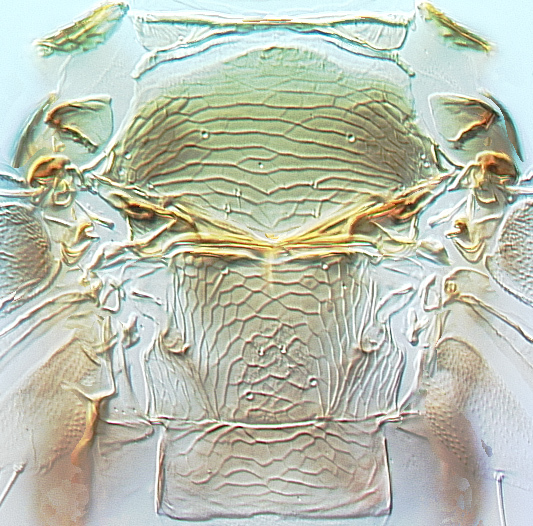 Similar to female aptera but paler; tergite IX medially with pair of small setae between pair of campaniform sensilla; sternites III–VII each with slender transverse pore plate close to antecostal ridge. 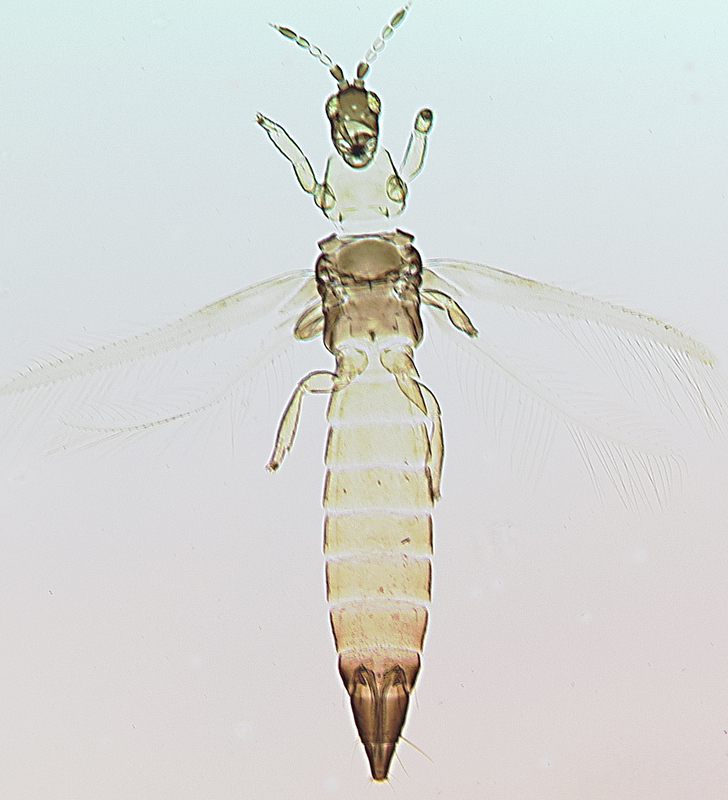 The genus Ozanaphothrips comprises six species, all from Australia. O. condaminei is one of two species in the genus with both tergal and sternal craspeda, but is distinguished readily by the bicoloured body.